With more galleries and art museums starting to open up across the country, more people around the globe are becoming aware of the beauty of Bolivian art. As well as small studios, workshops, and galleries operated by individual artists, there are now larger institutions dedicated to showing the best of Bolivian art work. The National Museum of Arts in La Paz is one of the country’s leading arts museums and one of the most important cultural institutions. The building itself is an architectural delight, with arches, pictures carved into the walls, a pleasant square, and a high gallery. Over the years the building, from the 1700s, has had various uses. Today, it is home to a wonderful selection of Bolivian art. Exhibits include colonial art, modern art, and religious art. Salar Galeria de Arte is also located in La Paz. It was originally a place to promote local arts and their works, but then it closed and became the studio of Gaston Ugalde. Today, it showcases some excellent contemporary and modern pieces. The gallery participates in a number of art events across the world. Casa Museo Nunez del Prado in La Paz displays some of the finest pieces by Marina Nunez del Prado, a celebrated Bolivian sculptor. The house contains over 1,000 exhibits, comprised of sculptures, drawings, sketches, and also painting and gold pieces by Marina’s sister – Nilda. There is also a wide variety of pieces of art that were collected by the family. The Museo de Arte Antonio Paredes Candia is in El Alto. It contains over 500 works of art, as well as over 10,000 books. It is a great place to see some fine pieces by some of Bolivia’s best artists. In Santa Cruz you can visit the small but well appointed Museum of Modern Art. There are no permanent displays or exhibits, however; it many shows works by winners of art competitions. Nevertheless, it is still a great place to see local modern art in Bolivia. 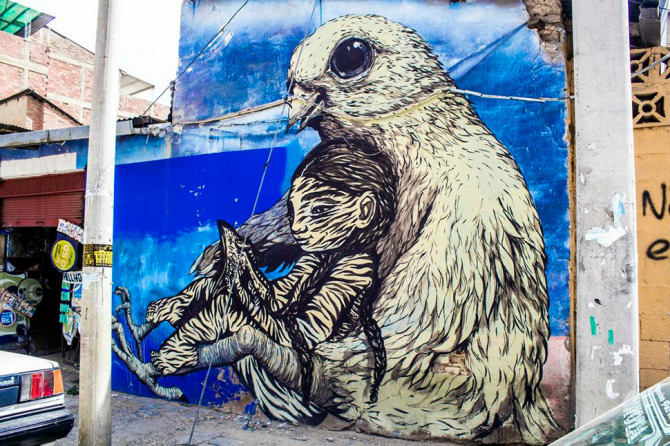 These are just a few example of where to see art in Bolivia. There are other bolivian art galleries and museums around the country. You can also see forms of art in other museums, for example the Textiles Museum, the Museum of Folk Costumes, archaeological museums, and similar. In some parts of the country you can admire terrific and impressive big, bold, and colourful street art. Cochabamba has a large collection of wonderful street art. You can get local maps showing the locations of the murals.